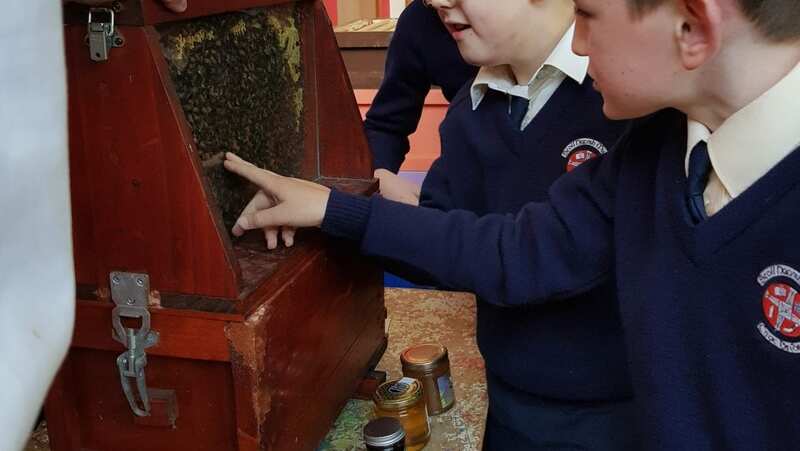 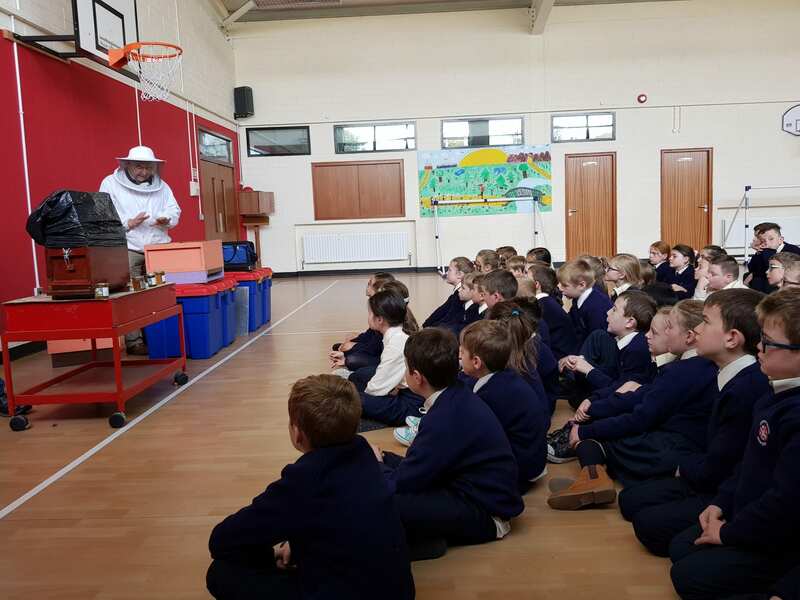 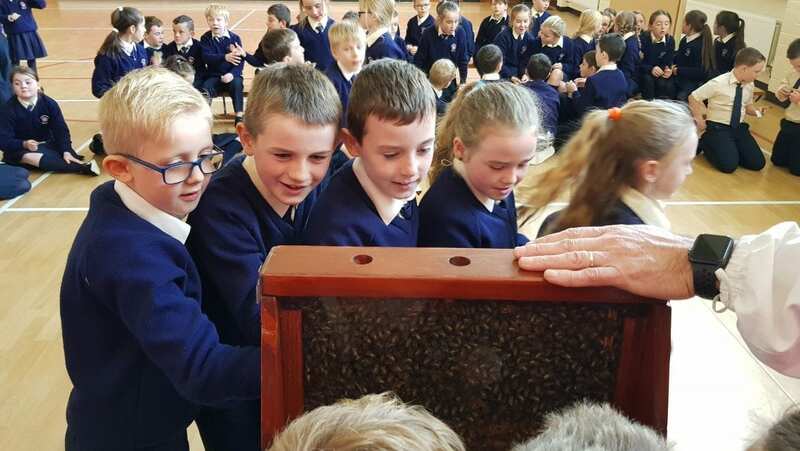 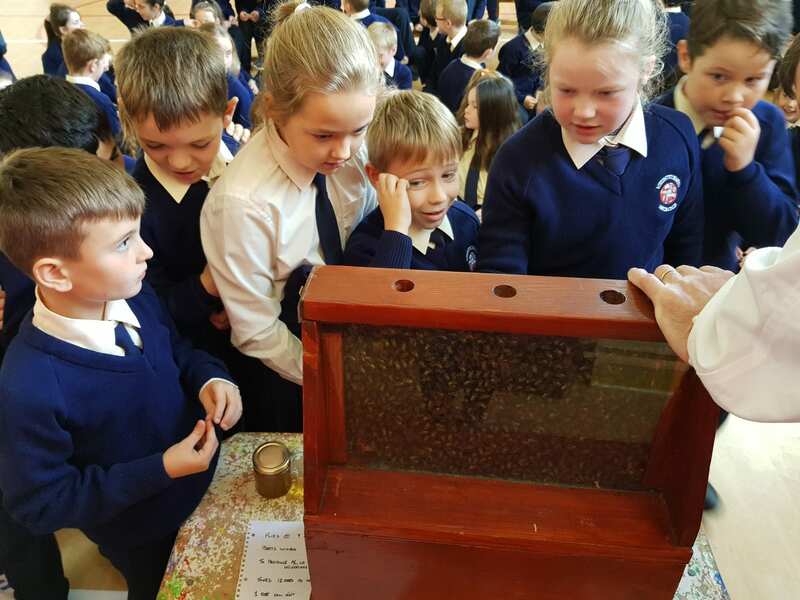 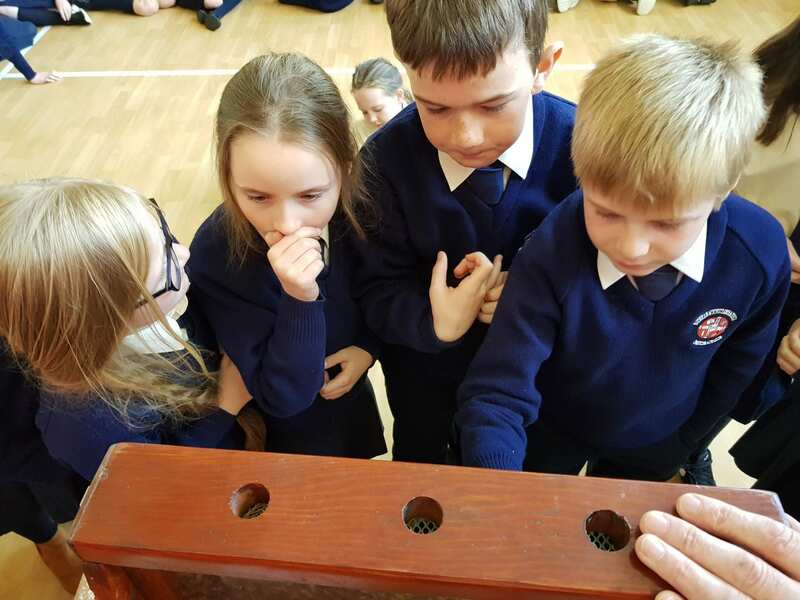 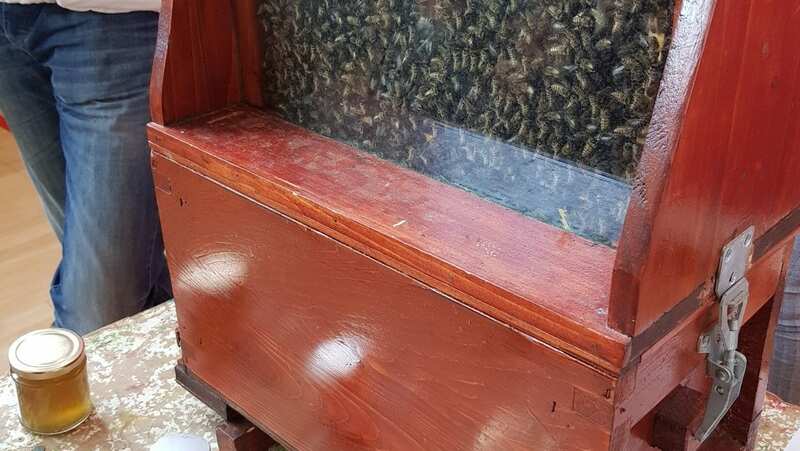 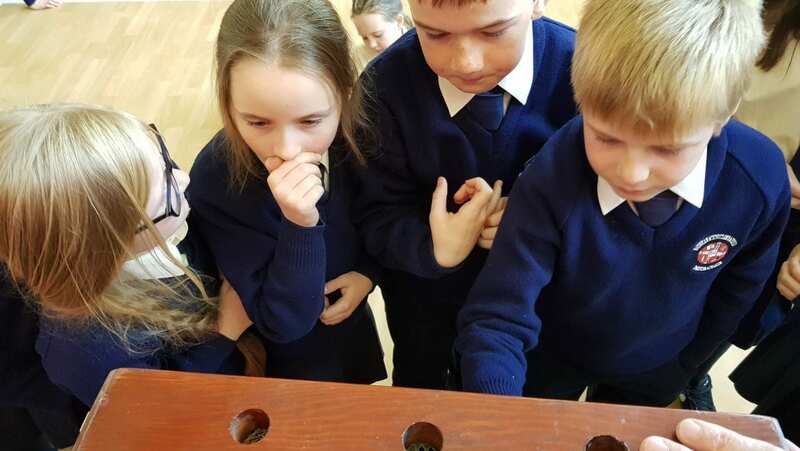 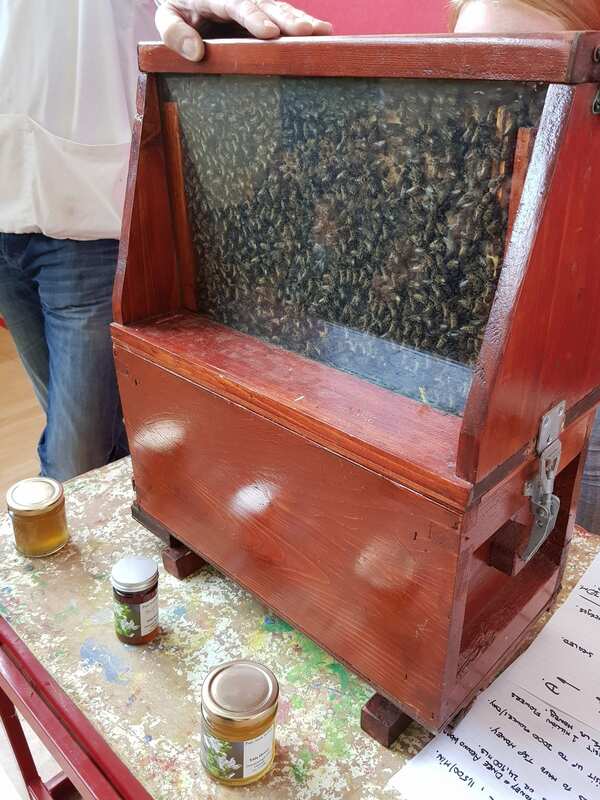 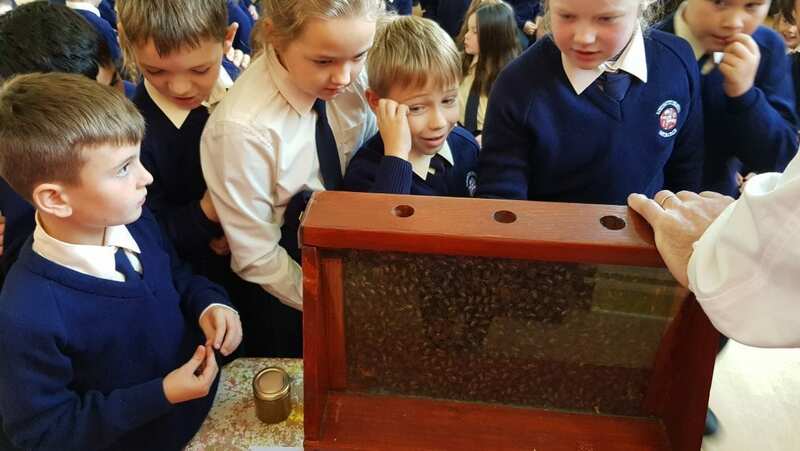 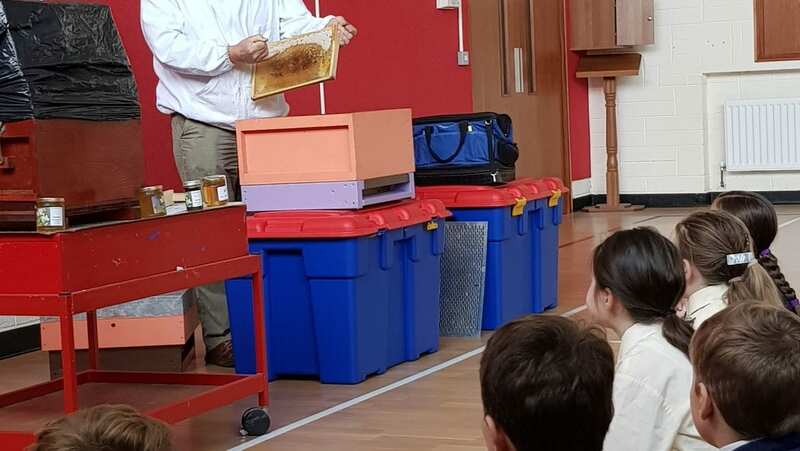 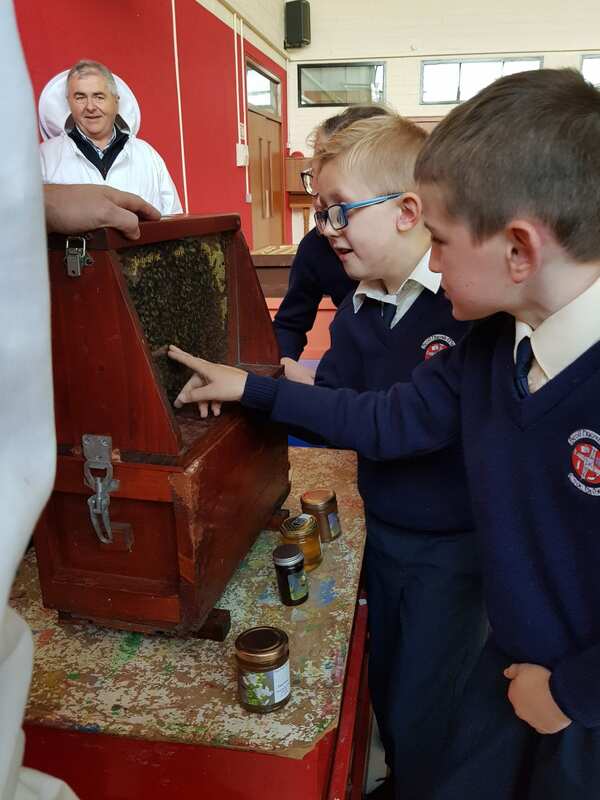 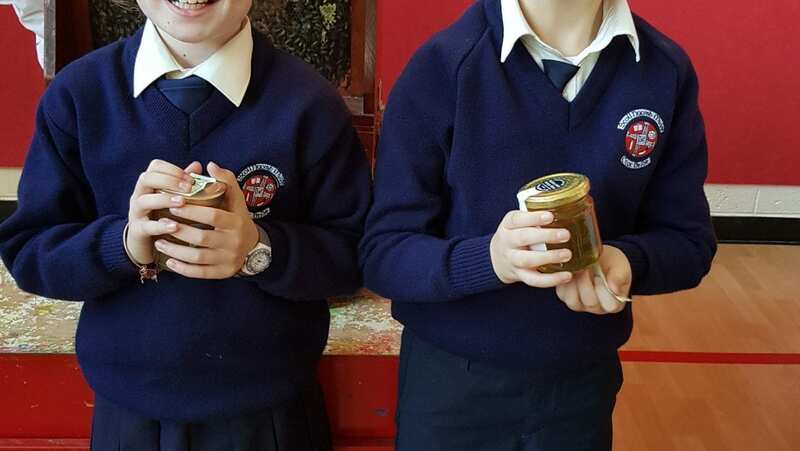 Today 3rd-6th Class were given the opportunity to see bees and honey during a visit from local beekeepers Liam and Tommy from Glemore, Cooley. 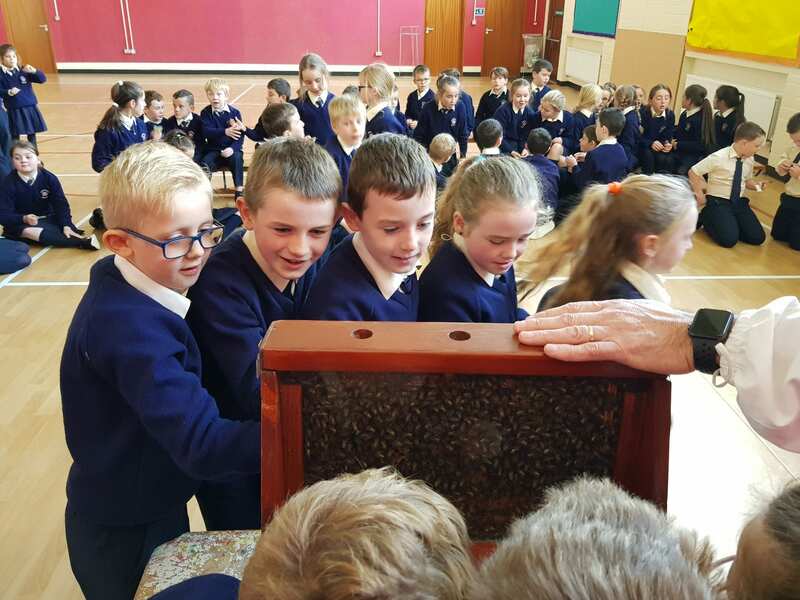 The children got up close to the bees and were even able to pick out the Queen Bee! 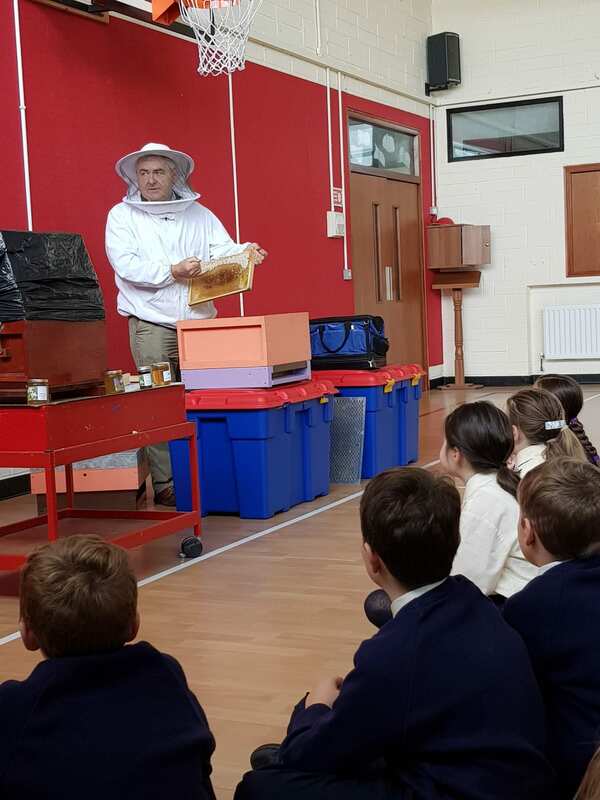 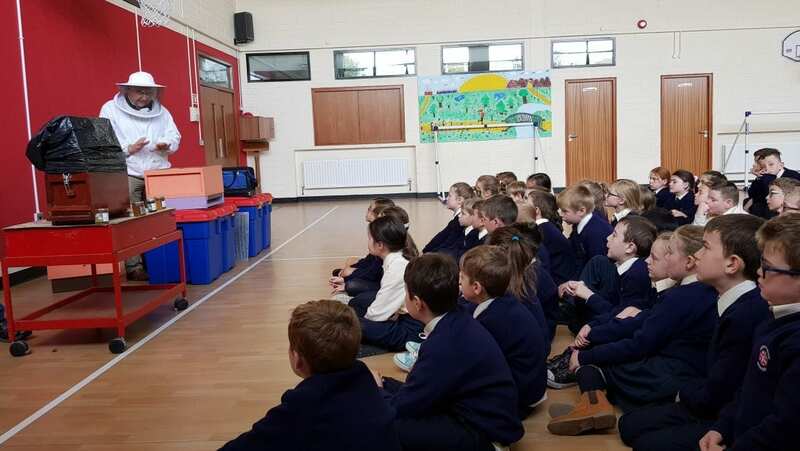 It was a very informative talk and the children were ‘buzzing’ with questions after. 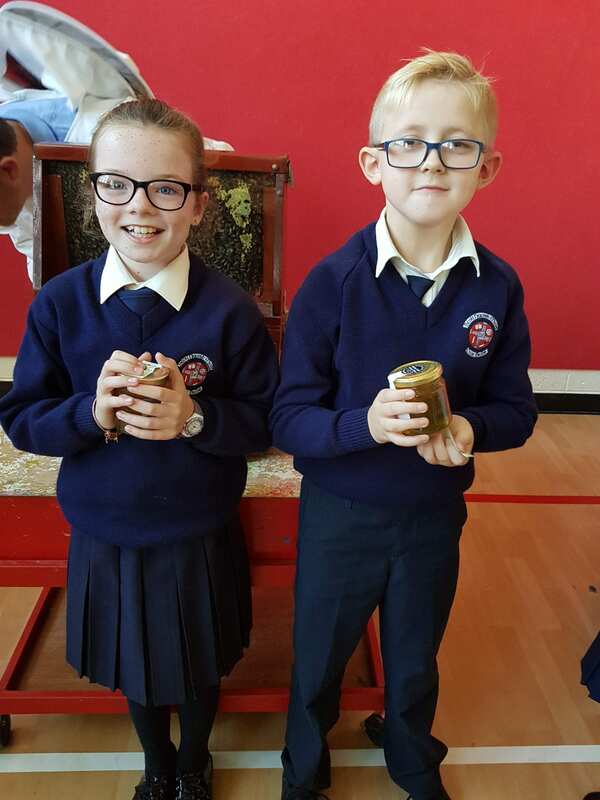 Hannah and Ethan were lucky enough to win a jar of honey!